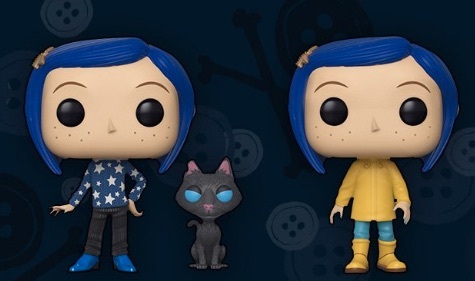 Enter the Other World with Funko Pop Coraline. 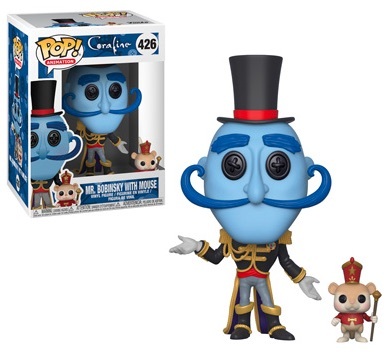 The journey naturally centers around the title character, and there are multiple blue-haired figures in the Pop! Movies collection. 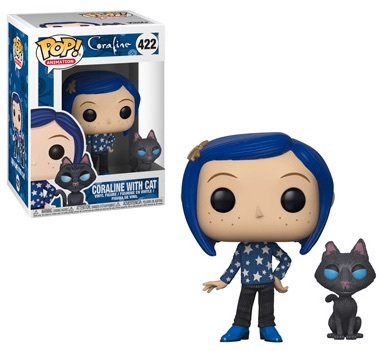 First a best-selling children's book by Neil Gaiman and then a 3D stop-motion film, Coraline was a critical and commercial success (Buy on Amazon). 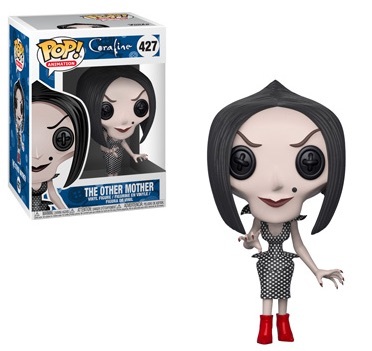 Nevertheless, the 2009 film did not make the jump to vinyl until 2018. 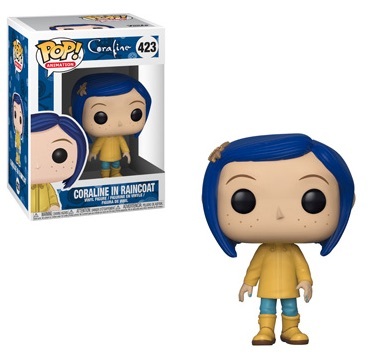 Funko Pop Coraline gets going with several figures, including Coraline, voiced by Dakota Fanning, with a black cat, and Coraline in her yellow raincoat. 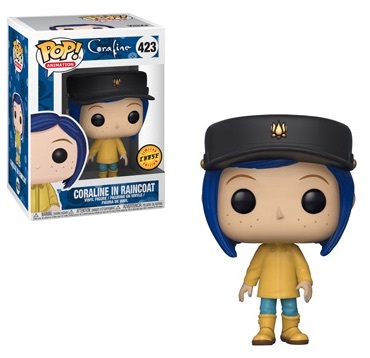 The raincoat version comes in a chase variant that adds a hat to her ensemble. 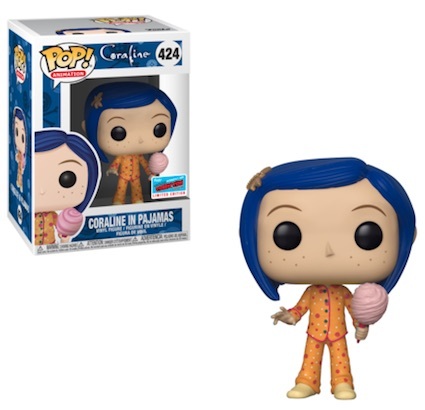 Shop Funko Coraline Figures on Entertainment Earth. 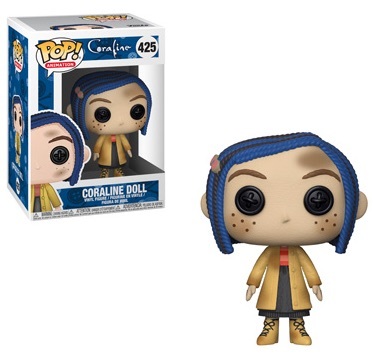 That's not all as Coraline is also issued in doll form. Other Mother (Teri Hatcher) and Mr. Bobinsky (Ian McShane) round out the initial batch. These three options display the creepy button eyes.